1-Year iFit® Coach Membership Included - $240 value! Engage in a whole new fitness experience as certified personal trainers take your exercise all around the world. 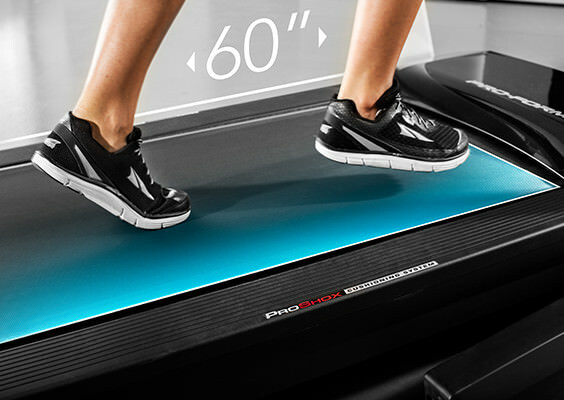 ProForm® SMART equipment, like the SMART Pro 9000 treadmill, comes fully equipped with a 1-year membership to iFit® Coach, giving you full access to an expansive collection of worldwide workouts and an ever-growing library of limit-pushing studio workout classes that will get you moving and sweating on and off your machine. We consider incline training the treadmill game changer—you can realistically condition your body for any hill or any valley. 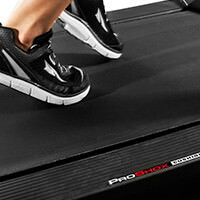 The ProForm® Pro 9000 offers powered, automatic incline and decline adjustability. For the complete real-world experience, take your grade into the negative for the full range of training. This large-frame Commercial Plus motor stays cool through the toughest workouts; creates high levels of inertia for a smooth, powerful feel; and promises a quiet in-home experience. Great for heavy use, this motor is built with high-grade components proven with our lifetime motor warranty. 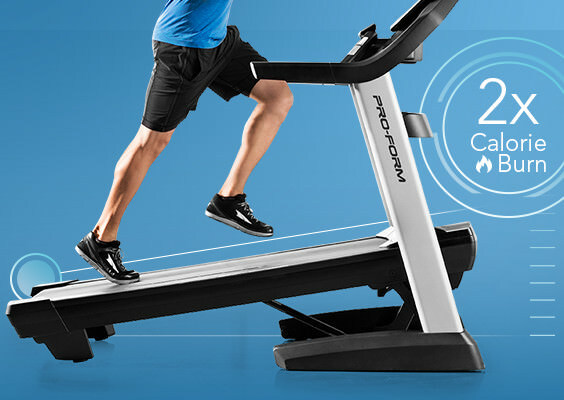 Because your in-home workout experience should be a comfortable one, ProForm® designed an extra roomy deck so you won't feel confined as you walk, jog, and run. The 60-inch length gives your legs plenty of room to get moving. And the 22-inch width allows your upper-body comfortable elbow room. To ensure our treadmills are top quality, we test each belt for one million cycles at double the user weight before release. *iFit® wireless technology built in—no module required. Access your iFit® Coach account from your Enabled exercise equipment, computer, tablet, or smartphone. 1-year membership included with purchase. After 1 year, annual membership fee required, sold separately. Nothing says “me time” like enjoying your favorite TV show or blog post as you work out. 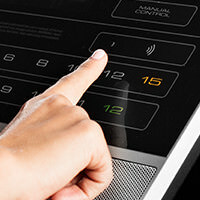 Our built-in 10” full-color touchscreen display connects you to what you care about most. It’s easy to check up on your workout stats as you go, too. Because your in-home workout experience should be a comfortable one, ProForm® designed a roomy deck so you won’t feel confined as you walk, jog, and run. The 60-inch length gives your legs plenty of room to stretch out your stride. And the 22-inch width allows your upper-body extra elbowroom. To ensure our treadmills are top quality, we test each belt for one million cycles at double the user weight before release. Not everybody runs at 12 miles per hour, but it’s nice to know this treadmill can totally handle it. Thanks to a bigger motor size and faster flywheel gear ratio, the ProForm® Pro 9000 rocks a top speed of 12 mph. Our in-home efficiency booster means you can run every day without using excessive amounts of electricity. And the convenient QuickSpeed® buttons let you adjust your intensity instantly, so you can stay focused through every step of your workout. 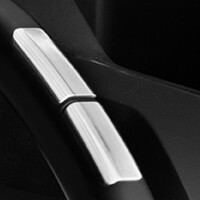 We know that a quality product is all about the details. That’s why we’ve built the ProForm® Pro 9000 with 2.5-inch precision-machined, balanced, non-flex rollers. These medium-sized rollers decrease tension, which keeps wear and tear to a minimum. You’ll also notice less noise and better grip. 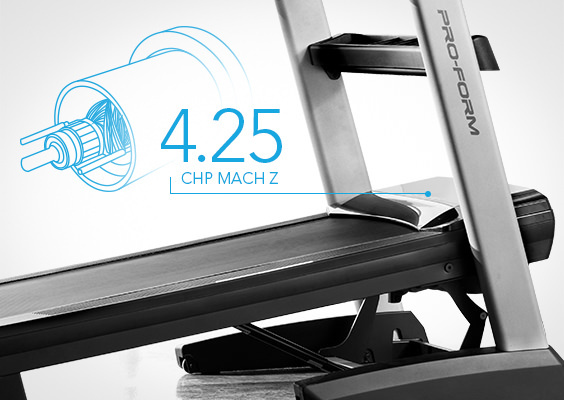 Built with the whole family in mind, the ProForm® Pro 9000 treadmill accommodates up to 300 pounds. We want to help you protect your investment. That’s why we try to go above and beyond with our product warranties. The ProForm® Pro 9000 is protected with a Lifetime Frame & Motor Warranty, 5-Year Parts Warranty, and 2-Year Labor Warranty. Please note: Lifetime Warranty pertains to the lifetime of the original purchaser.